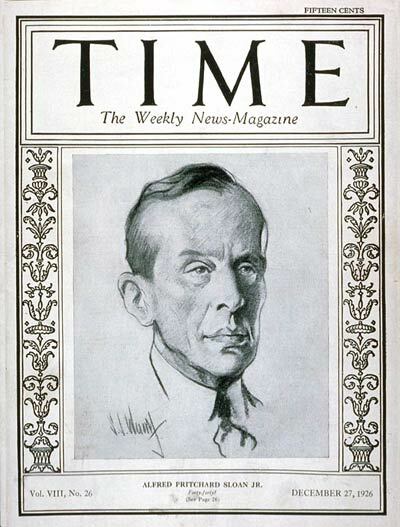 Cover of Time Magazine (December 27, 1926) w/ Alfred P. Sloan. Artist: Samuel Johnson Woolf, 1880-1948. Work is in Public Domain, since the copyright was not renewed. Source: Wikipedia.